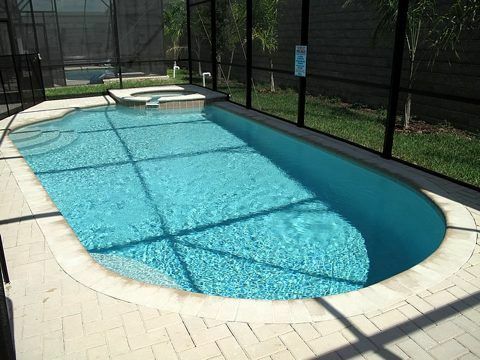 2 Miles From Disney, Private Pool/Spa, Game Room, Free Resort Amenities, Has It All! Welcome to Windsor Hills Resort and this luxurious 6 bedroom, 4 bathroom rental home (3500 sq. ft.) located near the theme parks in Orlando, Florida. This rental home has attained the prestigious "Grand" status for having an upgraded professional furniture package. This vacation rental home has all the comforts of home and more. The kitchen is fully furnished and ideal for those times when it makes sense to dine in,with plenty of seating for everyone to dine together. When it's time to relax, there is plenty of room to lounge and watch movies or just gather to share the stories of the day. The benefits of having your own private bedroom is sure to please all while having multiple bathrooms will ensure that all can get ready for the day at their own pace. The south facing pool is sure to provide hours of entertainment as there is no better place to enjoy fun-in-the-sun than Orlando. There is also a washer and dryer and FREE wireless high-speed internet for your convenience. Welcome to the fabulous Windsor Hills Resort. This spectacular gated community is located in Kissimmee Florida and just moments from the main entrance to Walt Disney World. The amenities in this resort offers tons of activities for the whole family. Fun awaits at the massive lagoon style pool which features which features a hot tub and a water slide the kids will love. The resort features every type of outdoor activities once could imagine. You have a children's playground, volleyball court, basketball courts, tennis courts, videos arcade, and a billiards. There is also a movie theater which features complimentary family friendly films in the clubhouse. If you would like to get in some exercise on your vacation, take advantage of the state of the art fitness center. The resort also offers a shuttle service that goes to Disney World, Universal Studios, and Sea World (local charges apply). Up to 5 cars permitted for this home. Cars may not block sidewalk when parked in driveway. Cars that do not fit in driveway must be parked in community areas. Bathroom towels are provided. Bring your own pool towels.